When goggles are having a moment at your house, you just go with it. And the ski goggles are out because surprise, surprise, it's cold and snowy in these parts and we've been doing our fair share of sledding (and a certain three year old tends have a meltdown--ha! snow, melt, get it? ugh--if he gets snow in his eyes during said sledding). I'm having my own meltdowns when I look in the closet each morning. Skinny jeans, I do love you, but honestly, we need a little break--a little space to find ourselves, then come back to each other in the spring, ready to cast off all socks and boots, ready to reclaim long, loose tank tops and sandals. Until then, I'm wearing something else. Anything else. Nemo dat quid non habet. - beautiful scarves I rarely think to fasten 'round my neck because they're hidden behind those damn trousers and short sweaters. I have gone shopping at least five times in the last few months searching for long tops to wear over jeans or leggings. And there hiding in my summer clothes were at least three dresses that will easily serve that purpose. 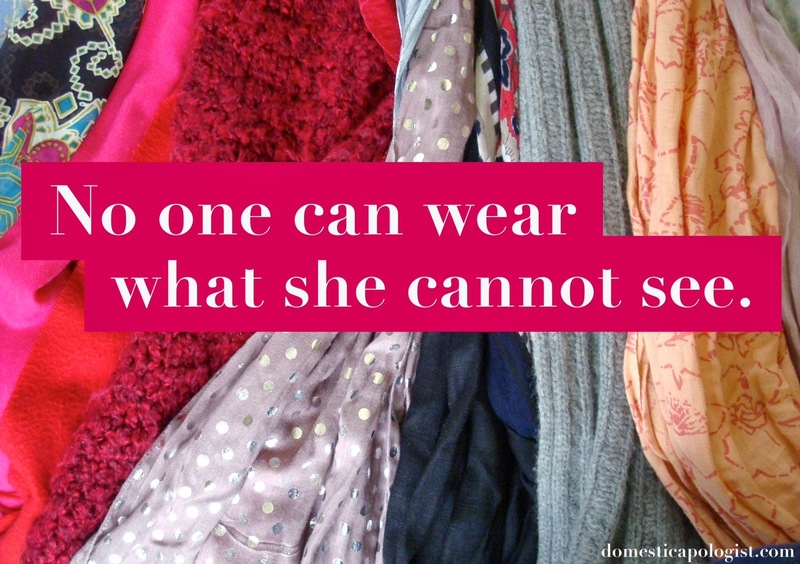 But because there's no room in my winter closet for any summer clothes, I couldn't see it. So, my style resolutions for February: Pull out new things to see each morning when get dressed--because I can't wear it if I don't know I have it. Put away things that aren't working anymore. Organize and mix it up. Go shopping in my own closet (and probably save a little cash). Basically: Think outside the skinny jean. Maybe start sporting some goggles too. Oh my- Joe in the argyle sweater=ADORABLE. And I did the same thing for mass! Summer dress with leggings but I'm really lacking in good sweaters so I pulled out my 12 year old jean jacket. Then at mass I wondered if anyone wears jean jackets anymore? Love it! And I think that print works great for any season - I'm excited for you to get the chance to clean out your closet, too :) I've been getting a little bit brutal cleaning mine out and sometimes having misgivings about giving away too much buuuuut if it means I get to replace it with something awesome, no big deal, right? Hey I think you're doing great already! Although I'm the worst to clean out my closet. 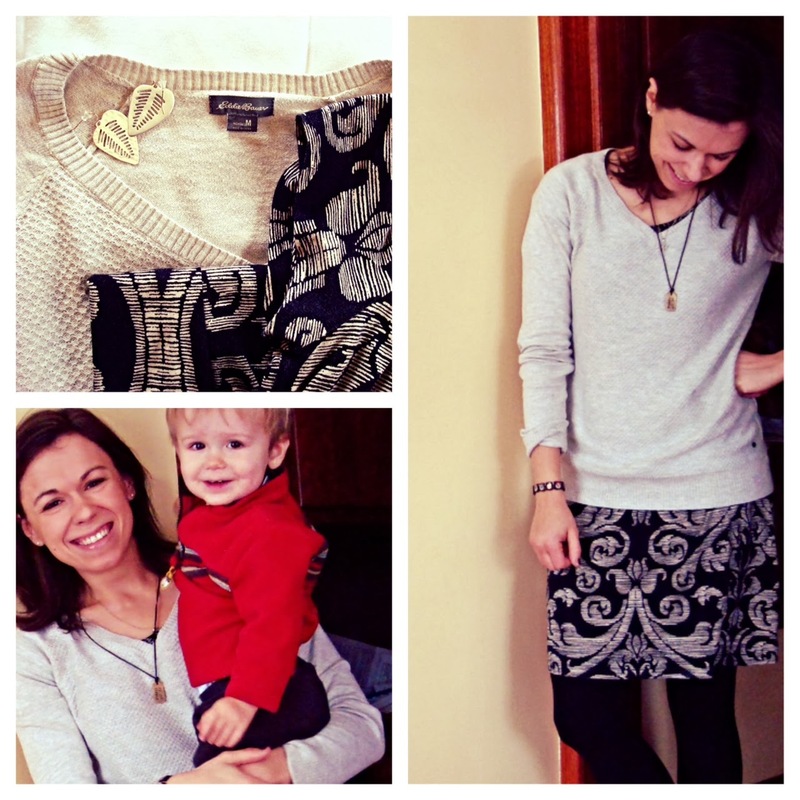 Why I'm still keeping skirts that only fit 5 babies ago I have no idea. Plus, even if I could fit in them...so out of style...so it's probably a good February "chore", then we can shop for pretty spring things! Those goggles are awesome. I'm going to have to try the leggings-with-dress thing-- can short, round-hipped people (like me) pull it off, I wonder?